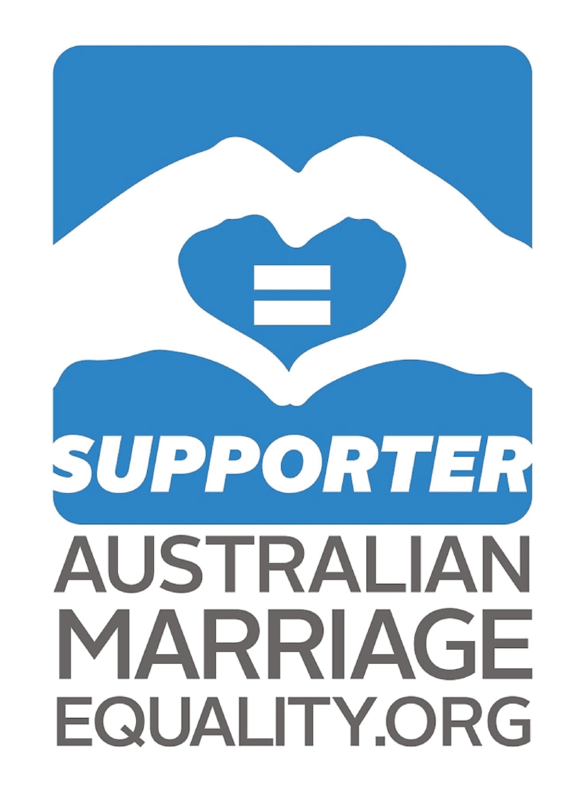 This incredible Box collection by independent Aussie designer Amelia Stevens draws its inspiration from clean box lines and would complement those planning a modern ceremony. 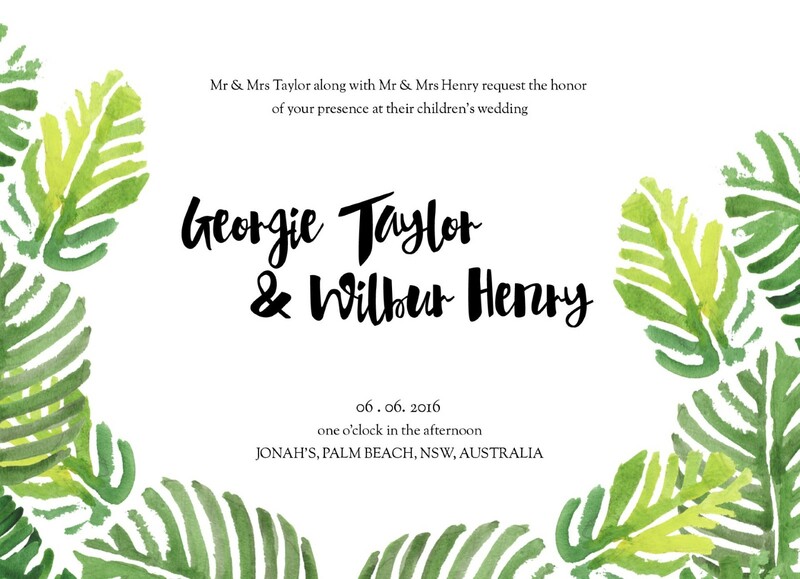 The Invitations card from the stylish Box set looks amazing when printed using digital technique and when it comes to stocks, we think it looks best on Paperlust heavyweight. I am fascinated by the exotic appeal of this wedding invitation. 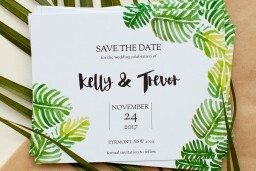 The palm leaf pattern and the playful fonts used create a lovely combination, which gives a joyful feeling to this invitation.